Our virtual games and sports are perfect for people of all ages and physical abilities. We have 12 custom made sport simulators including 2 private (or one very large!) party rooms – ready for your party or group outing! Host a big gathering? Our pleasure! 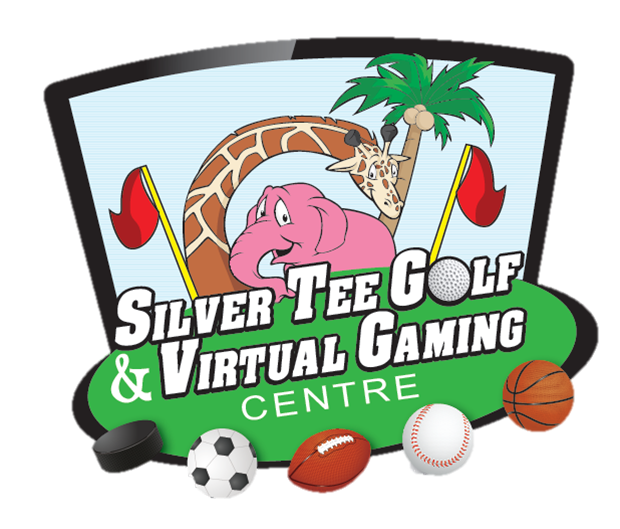 Our virtual games and sports are perfect for your fundraising event or big party! All rates include HST and are per hour – not per person. Special Rates on Sunday and Monday Nights! Check Our Our Sports & Games! Hello. I am looking to throw a very small Birthday party for my 12 year old son and 2 of his friends plus 2 adults . Your facility has interested my son. Was hoping you could help me out with information about your Zombie dodge ball . Is it 45 dollars an hour for a group or is there a limit? Any information would be appreciated. Thanks. Krista. We would love to host your son’s birthday party! The games and sport simulators cost $45 per hour, including HST, and up to 8 people can play on one simulator. Good morning! My wife and I where given a 1hr Virtual Gaming Coupon. Is there any restrictions? Do you provide golf clubs or do I need my own? Hi Carly, yes – when playing indoor golf, you need to supply your own clubs. Hi Ashley – We were having problems with our phone system. We believe the problem now to be fixed, and we do recommend calling for a reservation: 519-966-4911 Thank you for your patience and understanding.